Chef De Partie Simon Slade (left) and Junior Sous Chef Chris Wingfield playing their cards right at 1884 Wine & Tapas Bar. Two sister restaurants are setting out their stall for the summer by shaking up their menus and serving up some exciting al fresco options. 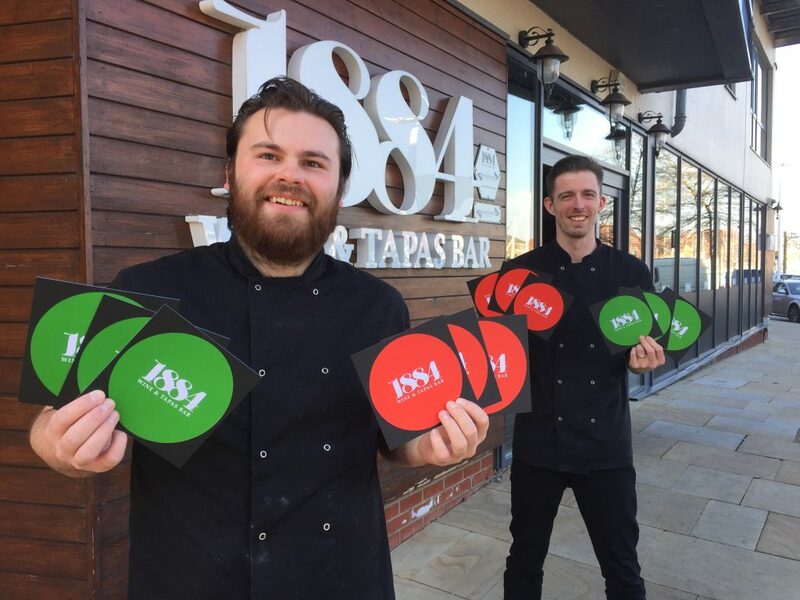 1884 Wine & Tapas Bar, which opened at the corner of Hull Marina nearly four years ago has revived its hugely popular green card deal as an April special and has completed an overhaul of its waterside outdoor dining area. Cucina 1884, which opened in Hessle in November 2018, will soon add outdoor seating and tables, increasing the capacity of the restaurant at the corner of Ferriby Road and The Weir. 1884 Wine & Tapas Bar was inundated with bookings when it first unveiled its green card deal only six months after opening in 2015 and Deborah Spicer, Director of the restaurant, said heavy demand is again expected for an offer which will only run during April. She said: “It is a really good deal and after viewing the price and the menu a few people have said we must be proper April Fools! But it’s a great way of introducing people to our food and to the tapas style of eating. Cucina 1884 is counting up a series of firsts after opening to great acclaim and rave reviews for its stylish surroundings and its array of high-quality dishes which are also simple and affordable. “Now they’re more familiar with what we do and with the variety that we offer. The finest quality ingredients, making our own bread, pizza dough and pasta as well as dried tomatoes – not sun-dried but dried overnight in the pizza oven! Be the first to comment on "1884 sister restaurants embark on al fresco expansion for summer"